Ever wonder about those guys working at the top of an electrical pole? You can see them in action this Saturday, July 20 at the 17th annual Texas Lineman’s Rodeo at Nolte Park in Seguin from 6:45 a.m. to 7:00 p.m. The event is free and open to the public. 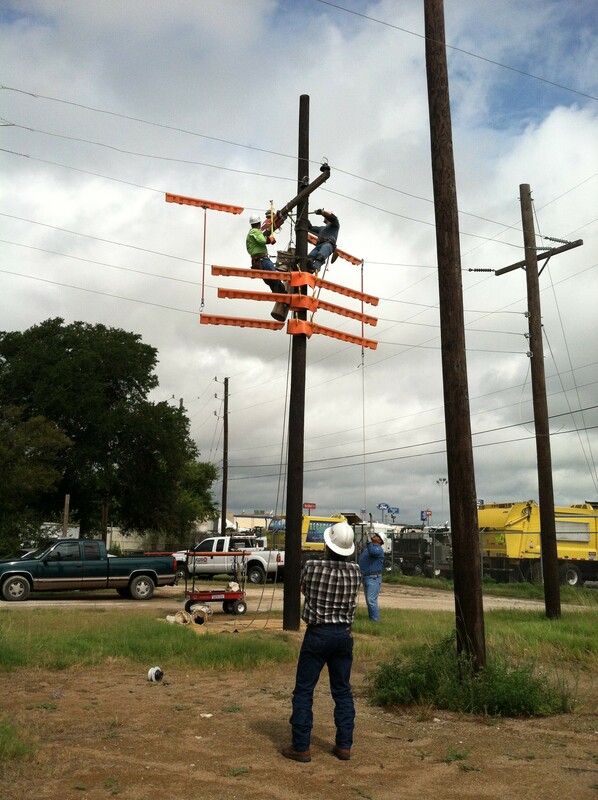 The rodeo, which will host teams of linemen from all over the state, is hosted by the Texas Lineman’s Rodeo Association, a non-profit organization created to offer Texas lineworkers a chance to showcase their profession of finessing high voltage, dangerous linework. It takes 10-15 years of training to become a journeyman lineman, said Fred James, senior vice-president of energy delivery services. CPS Energy employs 141 linemen and 121 trainees. CPS Energy linemen work on energized lines, meaning the power is still flowing through them. That can mean up to 34,500 volts of live electricity at arm’s length. Scary thought: as little as .1 milli-amps of electricity — the equivalent of just .0001 volts — can send the human heart into cardiac arrest. The rodeo offers a rare opportunity for lineworker’s families and others to see first-hand what it takes to keep the lights on. Having a barbecue doesn’t hurt, either. For Saturday’s event, Alfred Duque, Ahmad Butler, Gil Martinez and Michael Compton of the Northwest Service Center; Daniel Jimenez and Paul White from the Eastside Service Center and Travis Wiatrek and Frank Mata from the Southwest Service Center will compete on the two CPS Energy Rodeo Teams. Dennis Sutter from Eastside will serve as a judge. We wish them all a hearty good luck!